Queenswood approached Libris to recreate its website to reflect the new Head’s vision and improve it generally, from both a design (to tie in with new branding) and content point of view. The structure needed reviewing and more attention needed to be given to how its design could accurately reflect the day-to-day life of the school. With such a vast array of activities on offer daily, news needed to be reported on quickly and more frequently. The website also needed to be fully responsive, appeal to overseas and UK families and have an easy-to-use CMS. We had some work to do to ensure a new site was user-friendly, could be easily updated with frequent image changes, and also gave users a great user experience. We also had to ensure it appealed to an international market, as 20% of Queenswood’s students come from overseas. There needed to be joined-up working with photographers and videographers to ensure the two aspects dovetailed and accurately reflected the spirit of the school.  Having worked with website companies that focuses exclusively on the schools market, we felt that the new Queenswood website project should be handled by a company that would take a fresh approach; a company that had experience of other sectors, and would not be working with our direct competitors. Libris was easily the best of the three companies who pitched to us.We are extremely pleased with the fresh look and feel of the new site. I would particularly like to thank the staff at Libris (especially Ben), who worked tirelessly, sympathetically and with enormous patience, both in the run-up to and during the days after launch. We researched a number of international schools and industries to gather ideas from a range of sources. We then worked closely with the school to ensure the new navigation and site structure worked in the best possible way for all involved, through user testing with stakeholders. We applied a new secondary bright colour palette, created clear call to actions on each page and ensured the site had capacity for growth. Newly commissioned video and photographs also integrated seamlessly. The website has resulted in record numbers of attendees at Open Mornings and an increase in the number of people contacting the school directly through the site. Staff find the new website intuitive to use and easy to update, unlike previously. The quality of images and new gallery areas means that the school can update the site with high quality photographs and video and this really enables them to show off the school to prospective and current parents.